Sydney Shop Girl: Friyay Style and Youtube Faves. It's always lovely to see you but when you come wrapped in sunny blue skies and bearing a freebie coffee on my frequent sippers card then I love you even more than usual. Dress - Zara, Singapore 2016, denim jacket - Zara, Sydney 2012, necklace - Red Phoenix Emporium. Everything about today just said add a denim jacket to whatever else you're wearing today, SSG. So I did. My jacket was a $69.96 maternity fashion find from Zara way back in September 2012. The purchase was inspired by Pippa M. Who, by the way, seems to have been a little quiet of late on the paparazzi front. She must be busy with aunty duties. I remember the day I bought my denim jacket well. 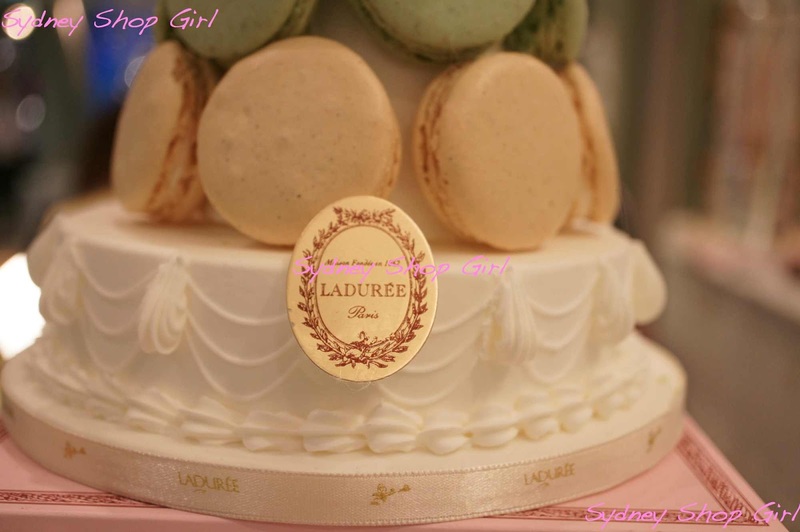 Laduree's first Sydney store opened on that very same day at Westfield in the city. Cardigan - Target, scarf and scarf ring - Hermes. I was a bit more dressed up for work earlier on in the week courtesy of this old favourite from Hermes. I was wearing a full skirt in navy with it at the time and while I had Sloane Ranger circa 1982 in my mind, I now know it's more generic 1950's housewife. I have to admit too that I did feel a little 1950's as I decorously glided down the corridors at work with my skirt and scarf ends trailing behind me. Because, thanks once again to Pippa. this is how you wear your scarves Sloane style. Duly noted for my longer scarves and wraps for the coming winter, Pippa. In the spirit of Friyay, may I present this week's Youtubes of note? Gwen Stefani's Carpool Karaoke with James Corden and two very special guests. JLo's drive is still my favourite of this year but Gwen's is so Friyay all the same. And Milla Kunis' contribution to Friyay comes in the form of the official trailer for her film with Kristen Bell and Cathryn Hahn - Bad Moms. From the creators of 'The Hangover', the clip has been all over my Facebook feed - friends tagging friends, likes and comments from fellow #badmoms sympathisers. Unfortunately, the film's release date for Australia isn't until August 11. Can I wait that long? Oh yes, I probably can. It's just before my birthday and I don't really want that hurrying up and arriving too soon. I haven't fully celebrated everything I hoped I would in my year long Festival of Forty. I did. I did take over from you denim jacket wearing duty when your sun fell and ours arose. I bet you exuded glamour in your full skirt and flowing scarf, Hermes no less.